Not every person is the same; therefore, we believe that a loved one’s funeral should be as unique as the person. We offer many different traditional funeral and cremation packages to provide the fitting tribute to your loved one. All of our packages also include 3 certified copies of the death certificate. This package includes transfer of remains to the funeral home, sanitation of unembalmed remains, basic services of funeral director and staff, hearse, register book, memorial cards, and staff for committal service. This package includes transfer of remains to the funeral home, embalming, dressing, casketing and cosmetizing, basic services of funeral director and staff, use of facilities for up to a 2 hour viewing, or visitation use of staff and facilities for funeral ceremony, hearse, register book, memorial cards, and staff for committal service. This package (does not include) Casket, vault, or cash advanced items such as grave opening fees, vault service fees, flowers, obituary notices, or clergy fees. This package includes transfer of remains to the funeral home, embalming, dressing, casketing, and cosmetizing, basic services of funeral director and staff, use of facilities for a 1 hour viewing, or visitation use of staff and facilities for funeral ceremony, hearse, register book, memorial cards, and staff for committal service. This Package (does not include) Casket, vault, or cash advanced items. This includes transfer of remains to funeral home, basic services of funeral director, cremation fee, filing the death certificate, state permit, one in stock urn, and temporary container for cremated remains. This (does not include) Urn vault or cash advanced items. 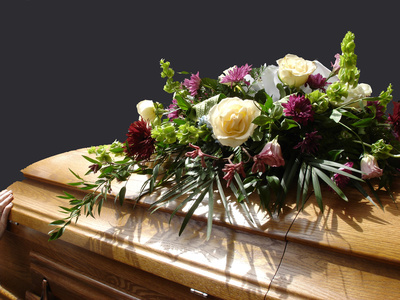 This package includes transfer of remains to the funeral home, embalming, dressing, casketing and cosmetizing, basic services of funeral director and staff, use of facilities for up to a 2 hour viewing, or visitation use of staff and facilities for funeral ceremony, hearse, register book, one in stock urn, memorial cards, cremation fee, temporary container for cremated remains and staff for committal service. This package (does not include) Urn vault, or cash advanced items. This package includes transfer of remains to the funeral home, embalming, dressing, casketing, and cosmetizing, basic services of funeral director and staff, use of facilities for a 1 hour viewing, or visitation use of staff and facilities for funeral ceremony, hearse, register book, one in stock urn, memorial cards, cremation fee, and staff for committal service. This package includes transfer of remains to the funeral home, embalming, dressing, casketing, and cosmetizing, basic services of funeral director and staff, use of facilities for funeral ceremony and one hour visitation, register book, memorial cards, one in stock urn, cremation, and staff for committal service. This Package ( does not include) Urn vault, or cash advanced items. This package includes transfer of remains to the funeral home, basic services of funeral director and staff, use of facilities for a 2 hour visitation, funeral ceremony, register book, lead car, flower car, memorial cards, one in stock urn, cremation, all permits and staff for committal service. This package does not include an urn vault or cash advanced items. This package includes transfer of remains to the funeral home, basic services of funeral director and staff, use of facilities for a 1 hour visitation, memorial service, cremation fee, filing the death certificate, state permit, register book, memorial folders, one in stock urn, and staff for committal service. This package includes transfer of remains to funeral home, basic services of funeral director, use of facilities for a 1 hour visitation, memorial service, cremation fee, register book, memorial folders, one in stock urn, and all necessary permits. This package includes transfer of remains to the funeral home, basic services of funeral director, cremation fee, register book, memorial folders, one in stock urn, and all necessary permits and staff for committal services. "Thank you, John and Mario for all of the wonderful things you did for our mother's funeral. The memory video and candle were wonderful touches as well as the embroidery of our mother's name. We are so grateful to call you our friends. May God Bless you both." Thank you so much for your kindness and compassion during a very emotional and sad time for our family. You were always caring and professional throughout the process of making and carrying our Clark's arrangements. You treated everyone with the utmost care and respect and made a difficult time in our lives easier to handle. You will always be remembered for your kindness."